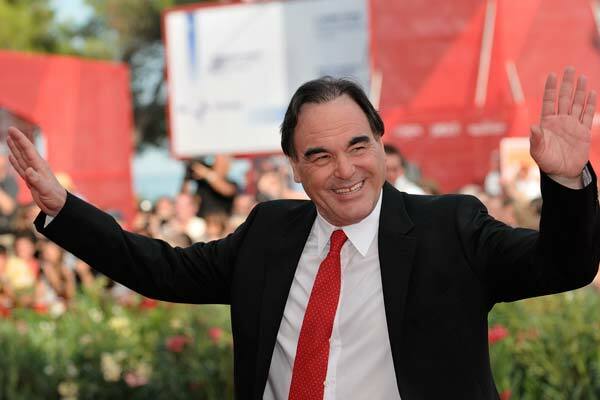 Oliver Stone takes time out from filming Wall Street 2 to tell SEA Globe about his contempt for capitalism, his fears for our future and why he thinks the Bridges Programme for Peace should really be held in the US. 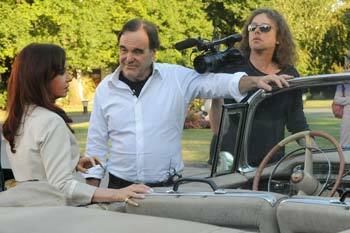 Never one to shy away from controversy, three-time Oscar-winning director Oliver Stone will be one of the most eagerly awaited speakers at the Bridges – Dialogues Towards a Culture of Peace programme when he arrives in Cambodia January 27. 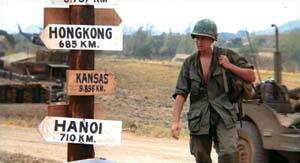 A Vietnam War veteran, who earned a Purple Heart and Bronze Star during his time in service, Stone turned his experiences into the 1986 Oscar-winning film Platoon, which presented an iconoclastic view of US involvement in Vietnam. Describing himself as a “contrarian”, he has continued to rail against US foreign policy and societal mores in films such as Born on the Fourth of July, Talk Radio, Nixon, JFK, Natural Born Killers, Salvador and Wall Street. He has also made documentaries on the US’s perennial Latin American antagonists Fidel Castro and Hugo Chavez, (cocking a further snook at his critics by inviting Chavez to the film’s Venice film festival premiere this July) as well as 2008’s W, a chronicle of the early years of George W Bush. Currently working on the sequel to 1987’s iconic and eerily prophetic Wall Street, Stone will further hound the US establishment in 2010 with a 10-part TV series called Secret History, which intends to expose some of the CIA’s more nefarious activities to the American viewing public. In January you will visit Southeast Asia to talk about filmmaking and peace building. How is this ethos reflected in your work? I would hope my films have contributed to a more peaceful world in that I‘ve shown the power of violence in various films such as Born on the Fourth of July, JFK, Platoon, Salvador and Heaven and Earth, the last of which was shot in Thailand and is one of my favourites – a true story about a Vietnamese Buddhist refugee who found her way to America and then back to her native country. These and other films have driven home the true cost of violence. On the other side of the coin, I’ve made films to point out how violence can deaden society by going to the other extreme. In making satires such as Natural Born Killers, I hope we pointed out the madness of a capitalist system that creates violence for money and for news. Wall Street (1) is often described as a film about the loss of one man’s soul. Do you think the events leading up to 2008’s financial meltdown revealed a collective loss – where almost everyone began to believe a little bit of greed was okay? The sequel, Wall Street 2, describes a world that has gone collectively mad on greed. The prices of running the system at the costs at which it’s run are debilitating to any empire and cannot be sustained except through constant creation of new instruments of credit, pseudo-credit and debt, which we sell off one to the other in an endless pyramid scheme. When Gordon Gekko said “greed is good” in 1987, little did I realise that greed would become so legal. Which is to say, a collective madness befell our society where everybody got overly greedy and envious, partly based on the ethos of television. Television manages to flatten and cheapen everything by making news for profit. News became entertainment. And the only news that ever gets on the American airwaves is the news that is exciting and of some kind of interest to the self-centredness of the American people. As a result we only get the American viewpoint in our country. We don’t get enough of the other. What saddens me is the fact that the Bridges Programme for Peace is not taking place in America. It seems to me I’m travelling to other countries in some capacity of diplomacy and communication, but that same capacity is denied to me in my country except through films that must make a profit. In my country there’s certainly a great deal of respect for the warrior and the moneymaker, but little for the artist; writers are wholly secularised. Do you think American society can change for the better? I certainly hope the younger generation can learn and be educated by our past mistakes. But of course the odds of history are long, and the chances seem to be shifting daily with the wind. And the power of ignorance seems to re-merge, again and again. I am not the only person to say that Iraq wars I and II seemed like sick echoes of the Vietnam past, as did, for that matter, our invasion of Grenada, Panama and our general belligerence throughout the world. I don’t know what can make America turn around, except perhaps a lightning bolt of poverty and tragic loss. The loss of many young men in a futile war may drive home the point to many American mothers and fathers of how desperate an empire we have become by chasing after objectives of money and profit for contractors, and so-called human rights for those we choose to see as victims. In the name of profit and human rights we have made many, many blunders. You have made films about such diverse politicians as George W Bush, Fidel Castro and Hugo Chavez. How do they compare as modern leaders of men? My life has seen its share of setbacks – among them the eight years we spent under George W Bush. These were perhaps the worst years of my life except for Vietnam. Although I tried to deal evenly with the man in my film W, painting a portrait of a flawed man but a man who after all was elected by a population who in some fundamental way appreciated his so-called plain spokenness and his American-ness. These are not necessarily good qualities, in fact these can be qualities that delude us. In comparison Fidel Castro and Hugo Chavez, with whom I made three documentaries, are pictured in America as the enemy of the country as well as demons in every way, yet I find them by comparison to be sterling individuals of a high moral order tested by history and adversity. If only George W Bush had had that kind of adversity in his life he would understand the true humility that he lacked. Castro, Chavez and Alexander the Great, the subject of another one of my films, are and were great leaders, strong bold men who have taken the tide of history and sometimes turned against it. Those who speak out are often vilified unfairly. And I think in the course of time, history will be kinder to Fidel Castro, Hugo Chavez and certainly Alexander the Great – all of them controversial – than to such arrogant, entitled figures such as George W Bush, as well as his father George HW Bush and others of his nature. In your film Platoon, Charlie Sheen describes Hell as “the impossibility of reason”. Do you think the world is becoming more reasonable, or are we as close to Hell as ever? When I wrote the line, I honestly thought the world would be a more reasonable place with time. I was wrong. That was 1986 and now we are in 2009. Despite the great optimism we all felt at the fall of the Berlin Wall, the end of communism and the hopeful rapprochement of a peace dividend between East and West, what we have seen instead is a surge in nationalism, religious prejudice and greater defence spending. Communism was supposed to be the enemy, but in fact our own capitalism became the enemy, as witnessed in our most recent debacle in 2008 on Wall Street. Capitalism, although it can work to the benefit of mankind, has been perverted by excess to the detriment of mankind. I don’t know where it will end, perhaps in the final blowout of history. I know many apocalyptic people feel that and think so, much more so now than when I was young. That was always the subject of science fiction, and I didn’t see it becoming so prevalent an idea. I hope they are wrong. How do you think things can improve? I hope the people who teach, the people who communicate, the people who find a way to rise each day and step out into the world can fight for a better world and overcome the easy descent into scepticism and pessimism. We can only try by putting one step forward, by speaking out, by reaching out, and by taking those small steps towards nonaggression that we must deal with – each and every one of us – in our own way, each and every day of our lives.